Epson Europe’s first ever Win-a-Robot contest has announced six winners! We invited higher education institutes, universities and research facilities from across the EMEAR region to submit their concepts that demonstrate how Epson T series robots could be used in an innovative way. Out of the innovative applications that came in from across the EMEAR region, six were chosen which showcased innovation in cobotics, food sciences, AR, agriculture, deep learning and manufacturing. How did we judge their application? Did the application use the robot in a new and innovative manner or to achieve a new or innovative end goal? Did the application present a learning opportunity that would otherwise be inaccessible without the robot? Did the application support skills development in the field of automation? Did the application use the robot in a new way or to automate tasks other than those seen by the majority or market applications? Did the application use automation to reduce waste or energy consumption? Did the sustainability of the project or end goal been addressed in the application? Robotics experts from industry, academia and policy came together in Meerbusch, Germany, to decide which of the innovative applications were to be winners. Applications were judged on a set of criteria including innovation, education, skills development, unique robot usage and sustainability. Darwin G. Caldwell, FREng is Deputy Director of the Italian Institute of Technology (IIT), and Director of the Dept. of Advanced Robotics at IIT. He is or has been an Honorary Professor at the Universities of Manchester, Sheffield, Bangor, and Kings College London in the UK and the University of Tianjin and Shenzhen Academy of Aerospace Technology, China. 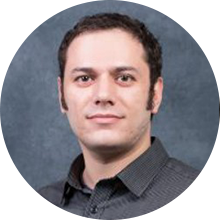 His research interests include; humanoid, centaur and quadrupedal robotics (iCub, cCub, COMAN, WalkMan, HyQ, HyQ2Max, HalfMan, COMAN+), innovative actuators, haptics and force augmentation exoskeletons, medical, rehabilitation and assistive robotic technologies, dexterous manipulators. He is the author or co-author of over 500 academic papers, 20+ patents, and has received awards from many international journals and conferences. Caldwell has been chair of the IEEE Robotics and Automation Chapter (UKRI), co-chair of the IEE Robotics and Mechatronics PN, Secretary of the IEEE/ASME Trans. on Mechatronics, and editor/on editorial board of several leading journals. In 2015 he was elected a Fellow of the Royal Academy of Engineering. Patrick Schwarzkopf, Managing Director of the VDMA Robotics + Automation Association has been working at the VDMA in Frankfurt since 1999. At the beginning, he built up the VDMA Factory Automation Forum, which focused on the interdisciplinary cooperation of drive technology, fluid technology, machine vision, assembly and handling technology, robotics, sensor technology, software and control technology. 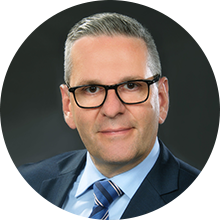 In 2004 he became Deputy Managing Director of the VDMA Robotics + Automation Association, head of its Machine Vision Group and Secretary General of the European Machine Vision Association EMVA. Since March 2014 he is Managing Director of the VDMA Robotics + Automation Association, Director of the European Robotics Association EUnited Robotics and Member of the Executive Board of the International Federation of Robotics (IFR). Imre Paniti is a Research Fellow at MTA SZTAKI (Institute for Computer Science and Control, Hungarian Academy of Sciences), where he focuses on industry 4.0, robotics, sensor integration and incremental sheet forming (ISF). 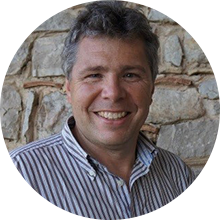 He is also a supervisor at the Budapest University of Technology and Economics, Doctoral School of Mechanical Engineering, Department of Manufacturing Engineering as well as a public board member of the Hungarian Academy of Sciences. Imre also acts as the national coordinator for EU Robotics Week, organized by euRobotics. Imre holds a doctorate in Philosophy and Mechanical Engineering from the Budapest University of Technology and Economics. Eva Kaili is a Member of the European Parliament, elected in 2014 and Head of the Greek SD Delegation (Pasok/Elia). In her capacity as the Chair (2017-2019) of the European Parliament's Science and Technology Options Assessment body (STOA) she has been working intensively on promoting innovation as a driving force of the establishment of the European Digital Single Market. 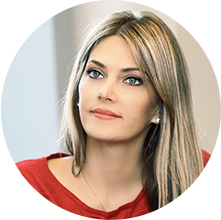 Her work has mainly focused on promoting the digital agenda and skills at EU level, and she has also been particularly active in the fields of blockchain technology, AI, online platforms, m/eHealth, big data, fintech and cybersecurity. As Chair she has been closely involved in a number of events touching on topics such as AI, digital skills development for European youth, and recently an event at the European Parliament in Strasbourg entitled Investing in Young Researchers, Shaping Europe’s Future. Prior to her position in the European Parliament, she was elected two times in the Greek Parliament (2007-2012), with the PanHellenic Socialist Movement (PASOK). She holds a Bachelor’s degree in Architecture and Civil Engineering, and Postgraduate degree in European Politics. Currently, she is conducting her PhD in International Political Economy. 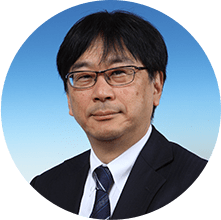 Yoshifumi Yoshida, Board Member of Seiko Epson Corporation and Chief Operating Officer (COO) of the Robotic Solutions Division, joined Seiko Epson in 1990. He began working in Epson’s quality control product inspection team and then managed the designing of the Epson product production machine. Following this, he became the General Manager of Epson’s internal factory automation and worked to improve efficiencies throughout the production process. In 2015, he joined Epson’s Robotics Solution Division and devoted himself to converting his experience and knowledge of designing factory automation into solutions to help our customers solve their problems. In 2018 he became a Managing Board Member of Seiko Epson Corporation. Fill out the form to enter the competition. Background information WHICH INDUSTRY / SECTOR DOES YOUR PROJECT FOCUS ON? HAVE YOU EVER WORKED WITH AN EPSON ROBOT BEFORE? HAVE YOU EVER WORKED WITH A DIFFERENT MAKE OF ROBOT BEFORE? HOW MANY PEOPLE ARE THERE ON YOUR TEAM? Please fill out all sections below you believe to be important for your project HOW DOES YOUR PROJECT UTILISE AN EPSON ROBOT IN A NEW AND INNOVATIVE MANNER OR TO ACHIVE A NEW OR INNOVATIVE END GOAL? HOW DOES YOUR APPLICATION SUPPORT SKILLS DEVELOPMENT IN THE FIELD OF AUTOMATION? HOW DOES YOUR APPLICATION USE THE ROBOT IN A NEW WAY OR TO AUTOMATE TASKS OTHER THAN THOSE SEEN BY THE MAJORITY OR MARKET APPLICATIONS? HOW DOES YOUR APPLICATION USE AUTOMATION TO REDUCE WASTE OR ENERGY CONSUMPTION? HAS THE SUSTAINABILITY OF THE PROJECT OR END GOAL BEEN ADDRESSED IN THE APPLICATION? I confirm that I am over 16 years of age. Yes, I have read and accept the Terms and Conditions of the promotion and I have been provided with Epson's Promotions Privacy Information Statement. Please send me future details on Epson products, promotions, offers and events. We want to make robotics more accessible to businesses of all types, both large and small, with our scalable and flexible robotics line-up. These include the latest dual-arm WorkSense W-01 and our more affordable T3, T6 and VT6 models, offering “Just Enough Robot”. This competition encourages the development of an innovative application using up to three T series robots – with successful applicants winning up to three Epson robots for their institution. Automation technologies are driving industry forward. The number of industrial robots deployed worldwide is expected to increase to around 2.6 million units by 2019 and continue to grow. As the number one SCARA robot manufacturer worldwide, with robotics technologies supporting many industries, Epson are encouraging skills development and innovation in EMEA to find pioneering solutions to support the future of industry.